It's sad when a portfolio graphic is on a topic as ghastly as 9/11, but sometimes they are and sometimes they become timely again and should be dusted off and aired once more. 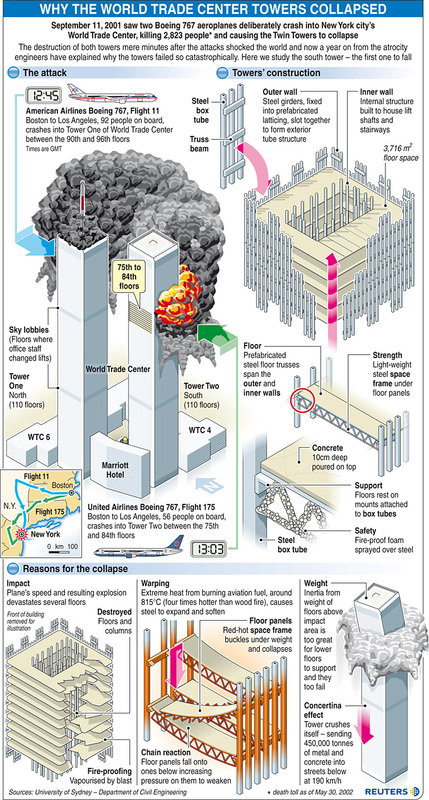 I did this one for Reuters almost a year after the attack, when investigators had had a chance to decipher what had failed so terribly with the construction of the World Trade Center twin towers. 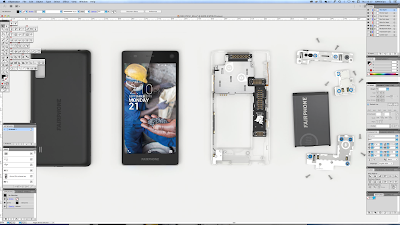 I remember it being a very time-consuming graphic as I wanted to get every detail (as was known then) correct to the best of my ability. ... when our wire feed went nuts and TV screens all over the newsroom started jumping live to New York City. 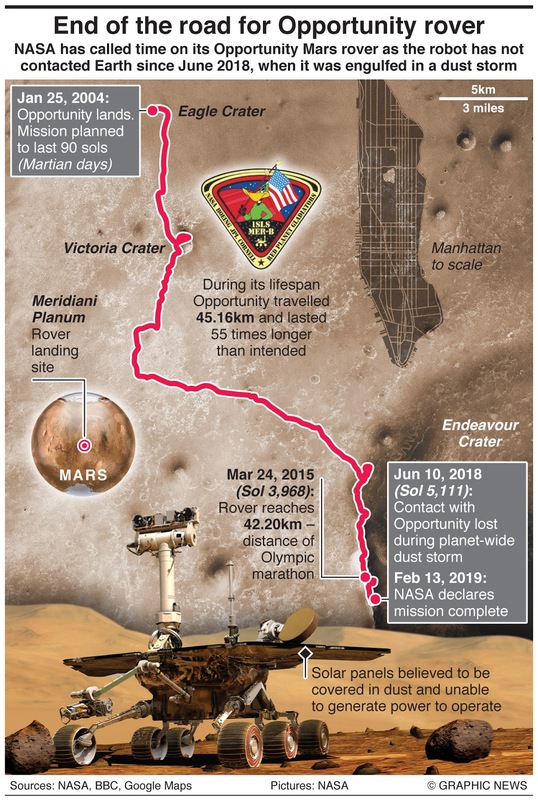 My graphic was immediately shelved, as was everybody else's in the studio, and we went into hyper-drive producing at first small locator maps, then more detailed maps, and finally a bigger graphic. 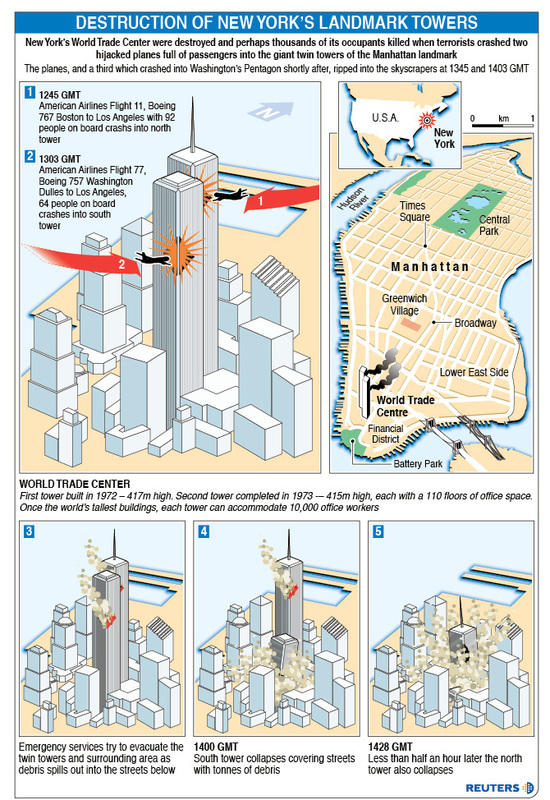 It has to be said that this is not a thing of beauty or a particularly good graphic for that matter (yes, one of the planes is hitting the wrong side of a tower), but it's what we were able to hammer out in the scant few hours after the towers collapsed. During that day, complete and utter confusion held the news media in check as the story dramatically changed for the worse every hour or so. The next several months were spent revisiting this story over and over and over again, and it was a long, long time before light feature graphics reappeared on Reuters News Graphics Service. 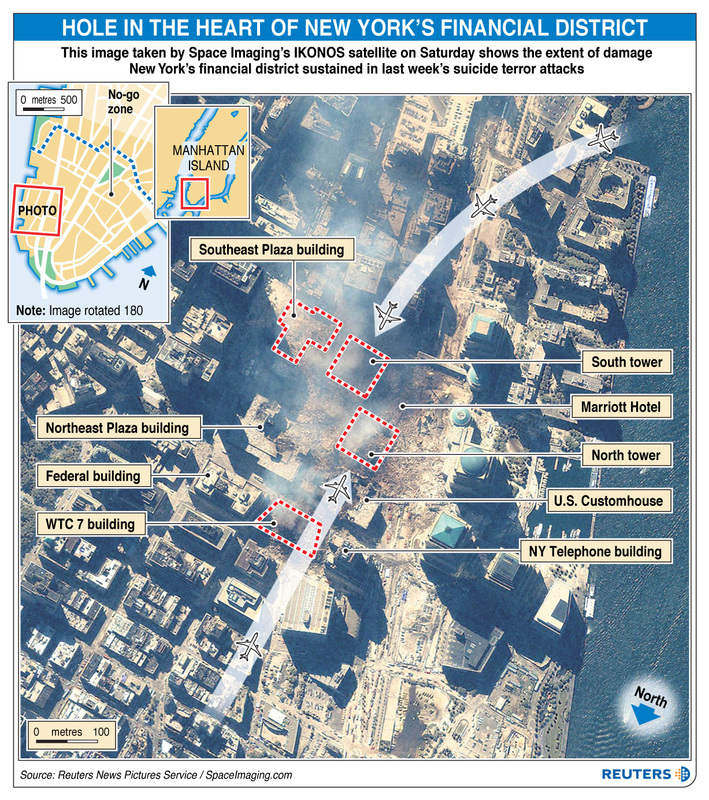 A few days after I posted this blog entry, I received a couple of messages from former-colleagues asking why I hadn't posted up the satellite image graphic I did a few days after the attack. 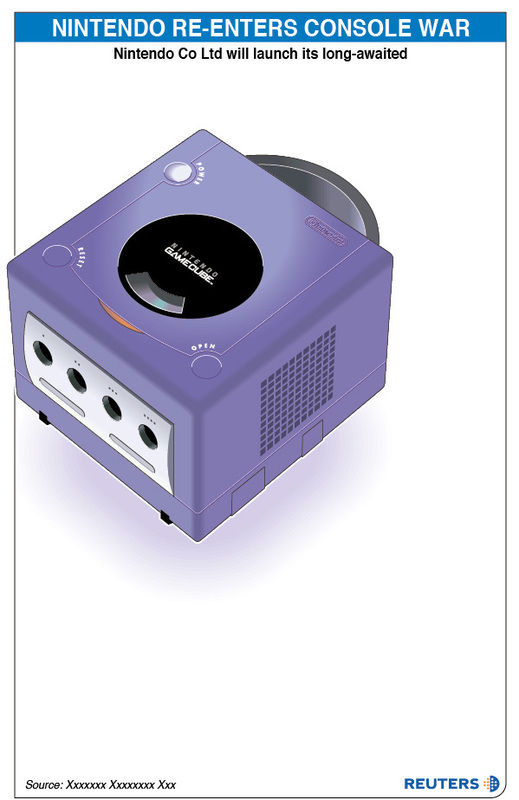 As I was just about to go on holiday, I was unable to find it in time but now that I'm back, I've dug it out. 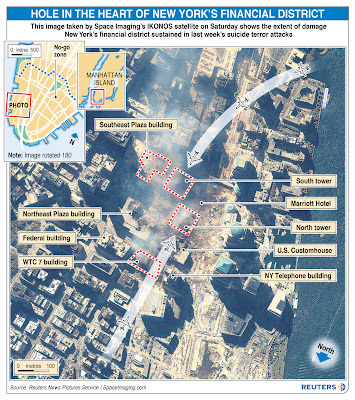 I got the idea after seeing a Space Imaging satellite photo of Ground Zero and it just seemed logical to overlay the flight paths and label the former locations of destroyed buildings. It proved very popular, with the Daily Mail in the UK running it almost full-page, for example.